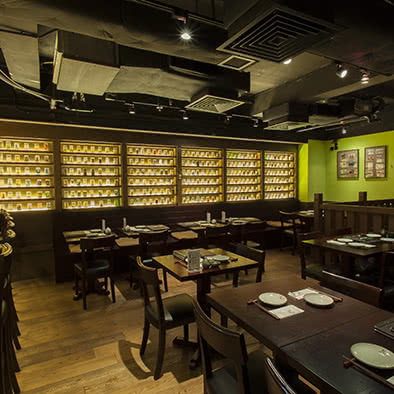 “Toba” is the first authentic Nagoya cuisine restaurant to grace Hong Kong’s borders. 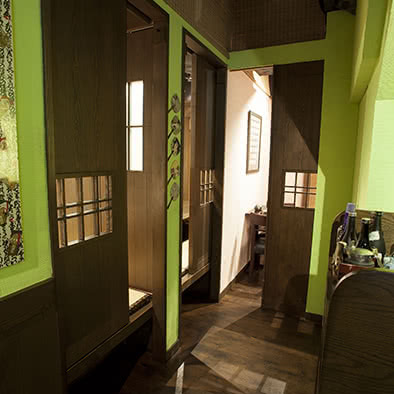 The restaurant features a traditional Japanese Izakaya style offering a fine dining experience. Our warm yellow lighting will provide your eyes with a comfortable rest from the neon lights of our fine city. We provide many different flavors of sake at the bar, featuring seasonal flavors from all around Japan. Over 250 unique sake cups are neatly arranged on the display wall. Each sake cup comes with its own story and culture, so you can sit back and explore Japan from the comforts of our environment. 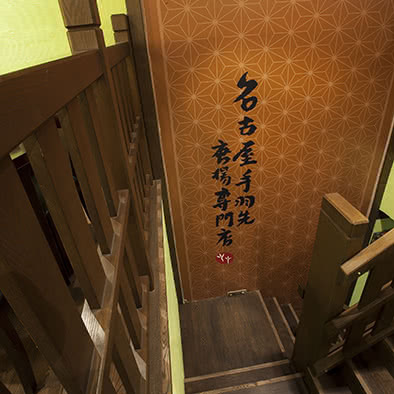 The lower floor has dining rooms with traditional Japanese decoration, that brings you back to the Nagoya Edo period. Take a seat on the tatami to taste the exquisite cuisine and experience real Japanese culture. “Toba” Japan headquarters founder and head chef-Kazuhide Someya graduated from Tokyo University of Agriculture, majoring in Miso. Mr. Someya’s expertise has gained him the title of Dr. Miso around Japan. Our Hatcho miso recipe is traditional, made with 100% soy sauce and using techniques that originate from the Edo period. The fermentation process takes around two years to complete, ensuring a unique and savory experience to tantalize your senses. Kazuhide Someya is responsible for the research, development and quality control of each of our dishes, ensuring every detail is up to the standard of Nagoya cuisine. Our “Toba” cuisine is based on Nagoya’s innovative culture. We use a specialized Nagoya eel rice, one of Toba’s most famous dishes. The eel is flown in fresh from Japan daily. We recommend you enjoy this dish in Nagoya’s traditional 3-step method. Our stores Hatcho miso recipe originates from Edo and was developed by Kazuhide Someya . Our “Nagoya chicken wing” is marinated with fifteen different kinds of spices, we invite you to indulge in its unique texture which is simultaneously crispy and tender. Our custom made secret sauce is the key to making your dining experience truly memorable. “Toba” is now entering its ninth year. We pride ourselves on our continued development and innovation, bringing you the best Nagoya cuisine available in Hong Kong. We at “Toba” will continue to cultivate our South East Asian market, providing authentic Japanese dishes throughout the world; and serve innovative yet traditional cuisine to our customers. 20/F-21/F, L'Hart, 487- 489 Lockhart Road, Causeway Bay, H.K.